Director Avi Lewis' new film, This Changes Everything, asks the question "What if confronting the climate crisis is the best chance we'll ever get to build a better world?" The film attempts to "re-imagine the vast challenge of climate change." 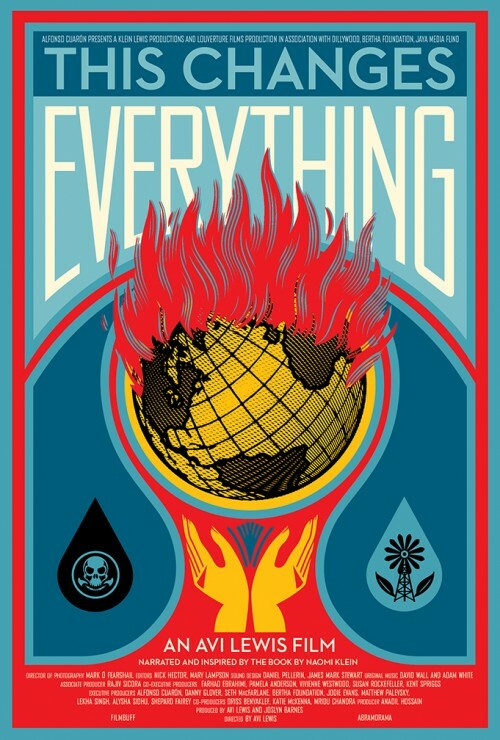 The documentary was inspired by award-winning author Naomi Klein’s critically acclaimed worldwide bestselling non-fiction book This Changes Everything. Published in 2014, it debuted at #5 on the New York Times list and at #1 in Canada. It was named to multiple Best of 2014 lists including the New York Times 100 Notable Books of 2014, and was shortlisted for the PEN Award for Non-Fiction. 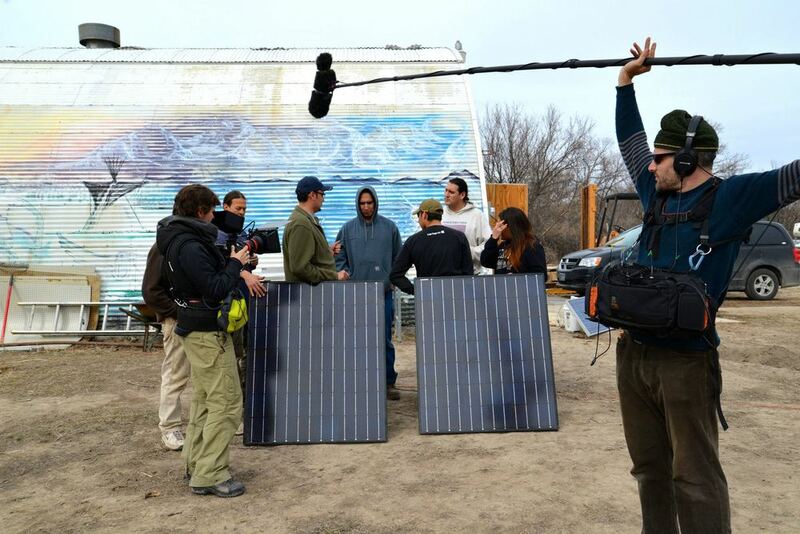 We had the honor of welcoming the film crew to the Red Cloud Renewable Energy Center in March of 2013 where they filmed one of our Solar PV workshops for Native Americans, which we hosted in partnership with Trees, Water & People and the National Wildlife Federation’s Tribal Lands Conservation Program. With Klein narrating, connecting the carbon in the air with the economic system that put it there, the film weaves together stories of struggle from the front lines of the climate war, culminating with the idea "that we can seize the existential crisis of climate change to transform our failed economic system into something radically better." Naomi Klein writes, "But when I finally stopped looking away, traveled into the heart of the crisis, met people on the front lines, I discovered so much of what I thought I knew was wrong. And I began to wonder: what if human nature isn’t the problem? What if even greenhouse gases aren’t the problem? What if the real problem is a story, one we’ve been telling ourselves for 400 years."